As a rather blustery September drew to a close we saw a weather window that would give us a favourable trip south and so we decided it was time to head to our winter home which for 2016/17 was to be Greenock on the Clyde. We had a fabulous trip down with our first transit of the Crinan Canal – hard work with just the two of us but we thoroughly enjoyed it – especially the enforced Sunday day of rest when the canal locks are all closed! After we left the canal we headed for the Kyles of Bute to anchor for the night – one of our favourite places. Just after we rounded into west Kyle, Scott suddenly shouted “Shark”! As we were safely onboard I wasn’t too worried and we spent sometime going round in circles watching the fin slicing through the water behind us – it seemed to be very interested in our tender! That excitement over we sailed on but I was l still looking out for the shark still through the binoculars when suddenly I saw the unmistakable sight of a spout of water – yes, a whale! So some more going round in circles waiting for glimpses of the whale – who didn’t disappoint – but then was gone and we carried on anchoring for the night off the Burnt Isles. In the run up to and including Christmas itself, we were both busily working as Mary took on some freelance chef jobs with Scott as her sous chef! We dressed Red Moon overall with Christmas lights and even had a tiny tree in the wheelhouse. The weather this winter has so far stayed generally cold and dry, with a few stormy bits in between, so we have managed to get out for some wonderful local walks in the crisp sunshine and snow! We saw in 2017 with good friends in Devon and it has started as we hope to go on …with bookings starting to fill up our diary! 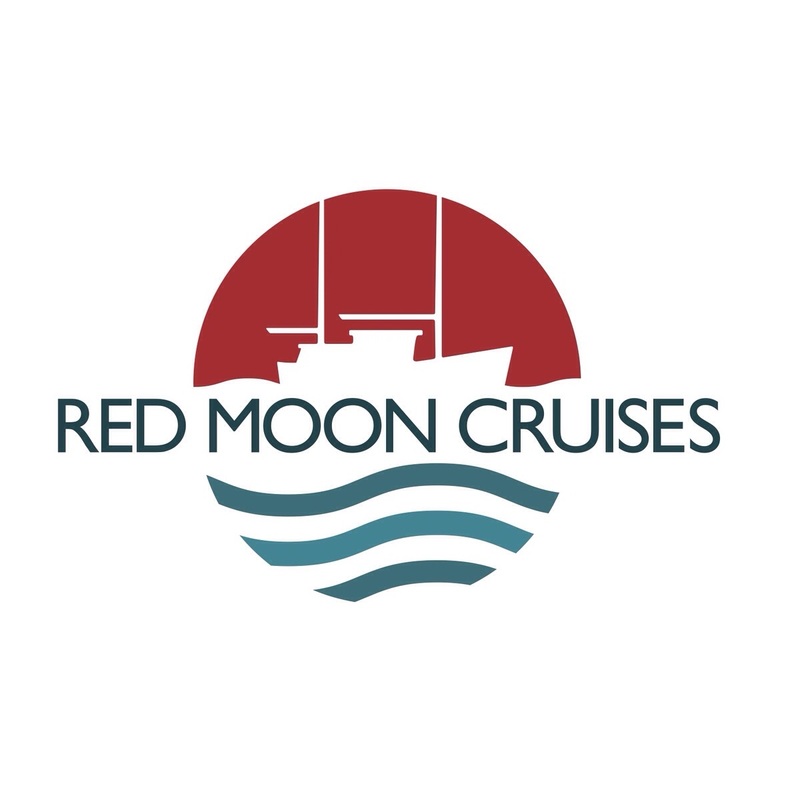 Now it’s the run up to a new season for Red Moon with essential maintenance and general TLC to get her in prime condition for what we hope will be a busy and happy summer.